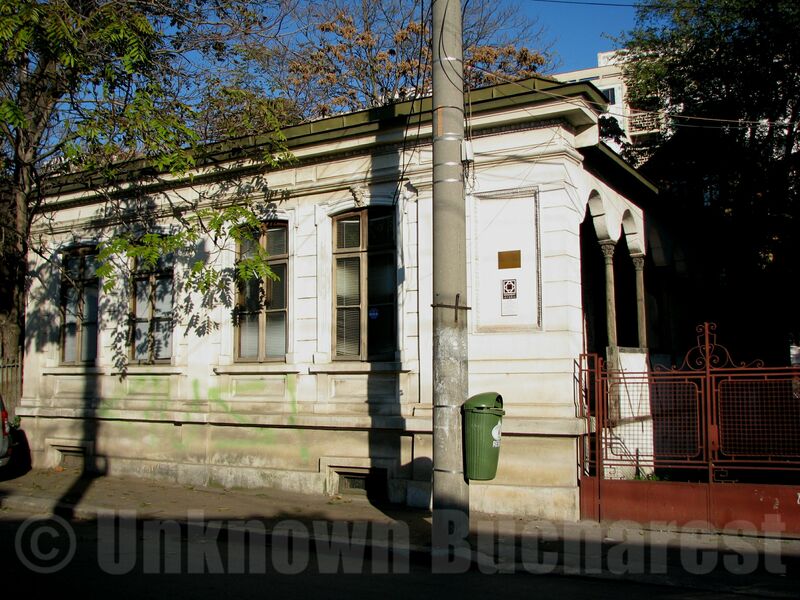 This late 18th century townsman house is perhaps the oldest preserved in Bucharest, and among the few porch houses still standing. While the street facade was modified in Neo-Classical style, the porch is the original one. The arched porch supported by wooden pillars originates in the folk architecture of the rural region of Wallachia (the historical and geographical region in Romania situated north of Danube and south of Carpathians) and was very common in the patriarchal Bucharest of the 18th century and the first half of the 19th century.